Are You Planning To Apply For Australia PR Visa From India? Are you too interested in applying for Australia PR Visa from India? If yes, then that’s great as you have reached the right destination where you can surely expect to receive the right and the latest information. So let’s start with explaining you what exactly the PR Visa is and how you can apply for it from India! Permanent residency or the so called PR allows a holder to reside in a country of issuing Visa for an infinite period of time. In the past, getting the Australian visa was extremely tough. But thanks to the new visa friendly policies, it has become a lot easier for Indian Citizens to apply for Australian visa, especially the PR Visa. You might have experienced the trend or seen or read online regarding the increase in the number of immigrants to Oz, especially from India. Hence, let’s discuss and try to understand the trend regarding the increase of immigrants to Down Under and especially from India! The very first reason is the economy as we all know and are well aware of the fact that Australian economy currently is the most progressive one. The second reason is the excellent educational facilities. Yes, Oz offers top quality of education. The country is the place for top Universities of the world. The third reason is the excellent healthcare facilities and best hospitals with world renowned doctors. The fourth reason is the language as we all know it’s English and we Indians are quite comfortable with it. The immigration becomes lot easier if as an applicant you speak the same language as spoken in the country. Although there are many more reasons for one to prefer Australia to migrate but the above four reason are the top factors as confirmed by many applicants and visa consultants. Any country that offers best Educational, healthcare facilities automatically attracts the new aspirants and becomes the preferred destination for others. These reasons are pretty enough to draw the new aspirants planning to move in for PR. Now let’s try and discuss how one can get the latest information! Like every country, there’s a government website for Australia too. This website can be considered as the most trusted source of information regarding visas and other information. It offers the information related to immigrating along with other visas like tourist, study and work visas. Now that we have discussed the main factors for applicants to consider Australia as the top immigration destination, let’s try and share some more valuable information and that is regarding the filling of application. Now comes the most significant factor and that is filling of visa application. As we talk about filling of visa application the butterflies of failure or rejection starts to fly in our stomach. As we all know the rejection rate of visa application is quite high. One of the main reasons is that most of us try to fill the application on our own and we don’t even realize the mistakes that we make. Whether it is related to attaching the documents or provided the right information–most of us either goofs up of try to play little smart. This is where we make the biggest mistake. Our recommendation: instead of filling the visa application on your own and making some mistake, it’s always better to take services from a rewound visa consultant, as hiring a professional will definitely increase your chances for visa approval. It’s not about money, just think about the expertise and great resource a consultant will bring. An agent is a person who has gained expertise by investing years in this field. The gained expertise is the result of years of hard work. It’s like you hire the best doctor for medical treatment and you trust that doctor based on his expertise and years of experience. In the same way, you hire an agent based on his expertise and experience. 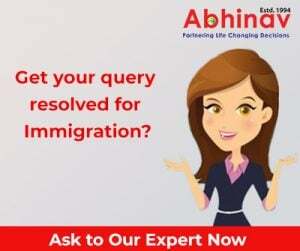 The consultant is aware about most recent changes in the visa policies, and based on his knowledge and skills, he offer customized immigration solutions to his clients. It can be based on education, higher studies and professional experience, and the current requirements of the client.